Back-breeding is another form of inbreeding where one dog (S) is mating with another specimen (D) to then mate with the strongest from that new generation (D1). And again, the original dog (S) will mate with the strongest from that newest generation (D2), etc. 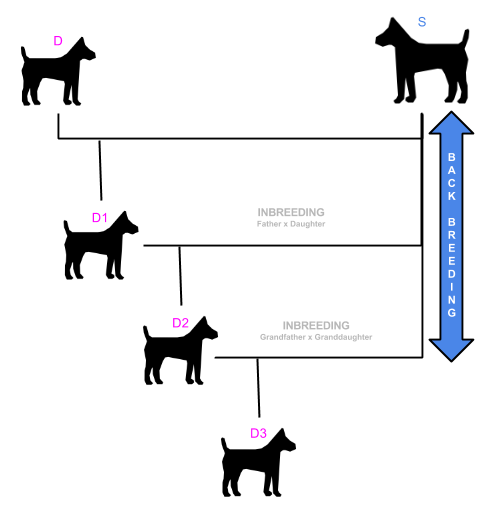 In the illustration below, we can see an intensive form of back-breeding where an individual S is mated to his daughter D1, granddaughter D2 and so on, in order to maximize the percentage of S’s genes in the offspring. 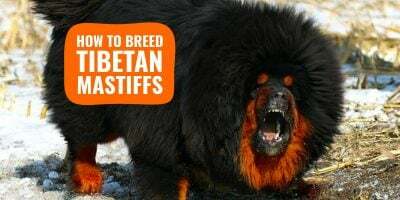 87.5% of D3’s genes would come from S, while D4 would receive 93.75% of their genes from S.
Back-breeding is an amazing method when for example you have a huge champion stud and want to fix its traits to its descendants until litters become more homogenous. To put it differently and use the terms we reviewed in the last pages, back breeding can be a mixed-use of inbreeding for the first stage followed by linebreeding for the next generations. 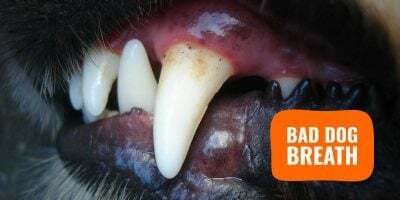 Because back-breeding and inbreeding do not only improve positively the puppies’ features, the Kennel Club decided to outlaw and stop registering litters from a mating between very close relatives such as brother and sister, father and daughter or mother and son. 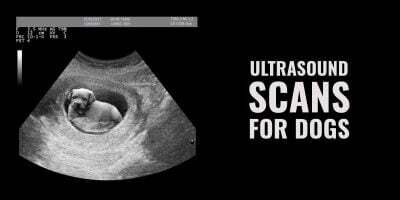 They would allow it if welfare reasons were clearly and scientifically established and proven. 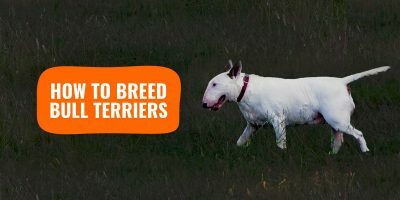 For more information, feel free to read our article on inbreeding, linebreeding, and grading up. 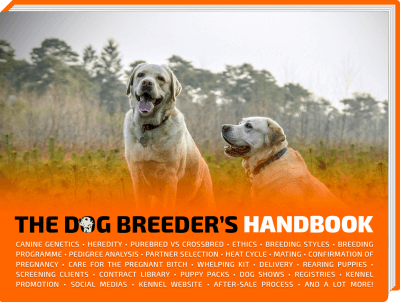 Read some posts here, read the 101 and definitely the dog breeder’s handbook!